Synopsis: Kwanzaa is Kayla’s favorite time of year. But this year, it looks as if a heavy snowstorm will keep her big brother, Khari, from getting home in time for the festivities! Will Khari miss the celebration completely? Or will Kayla and her brother somehow find a way to be together for Kwanzaa? 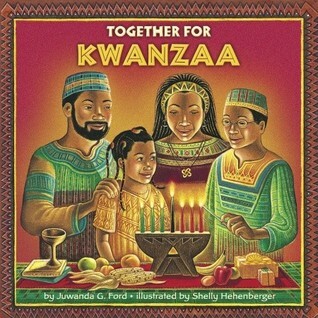 A perfect introduction to Kwanzaa, this book will teach children all about the traditions and practices that make it a special winter holiday. Review: A very cute, educational story. I appreciate that not only are the different parts explained, with examples, but that pronunciation guides are included in-text. The illustrations are nice, and this is a great introductory book for kids and adults alike.